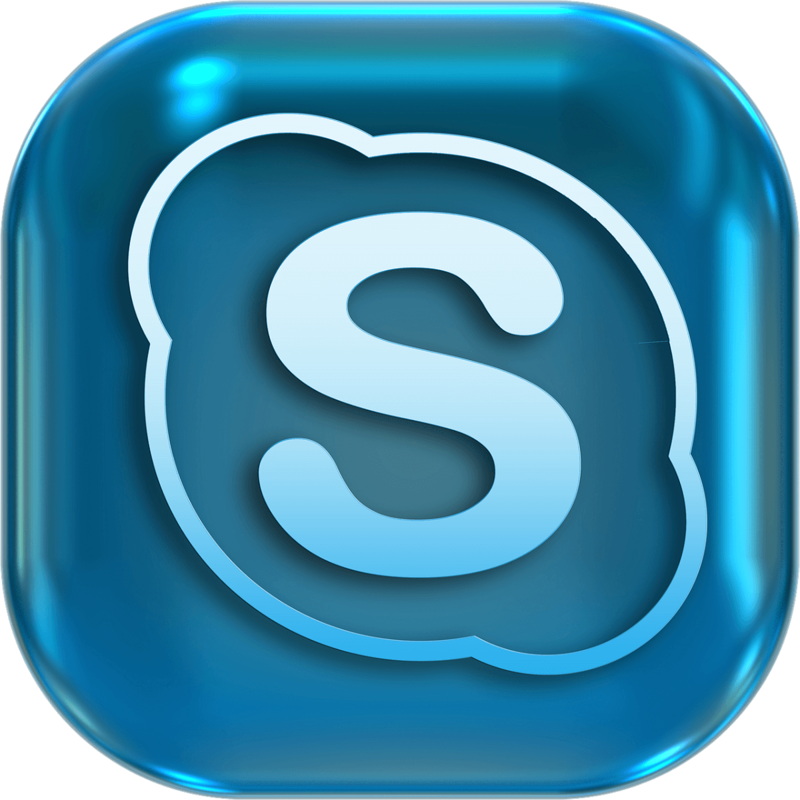 Skype is a product developed for voice and video calls and chat. You can use it on computers, tablets, smartphones and smartwatches, even the Xbox One console. Through Skype, you can send and receive images, text and video files. First released in 2003, Skype was bought in 2011 by Microsoft. And shortly after the purchase, Skype was integrated with Microsoft products. Furthermore, Microsoft suspended two previous products (Windows Live Messenger and Lync) and started recommending Skype. In 2016, Microsoft released build 14342 for Windows 10, that included a new updated Skype UWP Preview. The highlight of this update was the ability to set up a dark theme. This mode was enabled when the settings were made within the operating system’s theme. 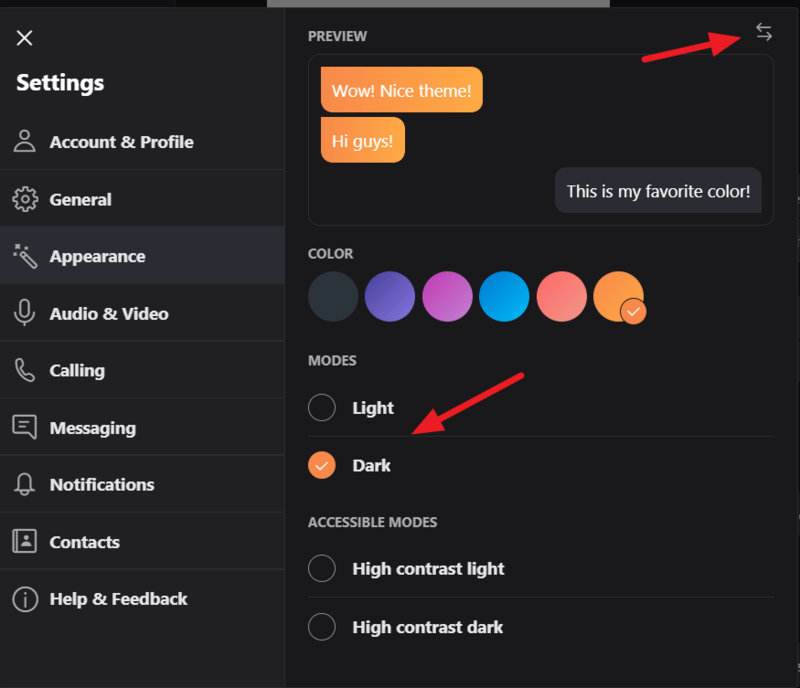 But there was no option to enable or disable the dark mode just for Skype. 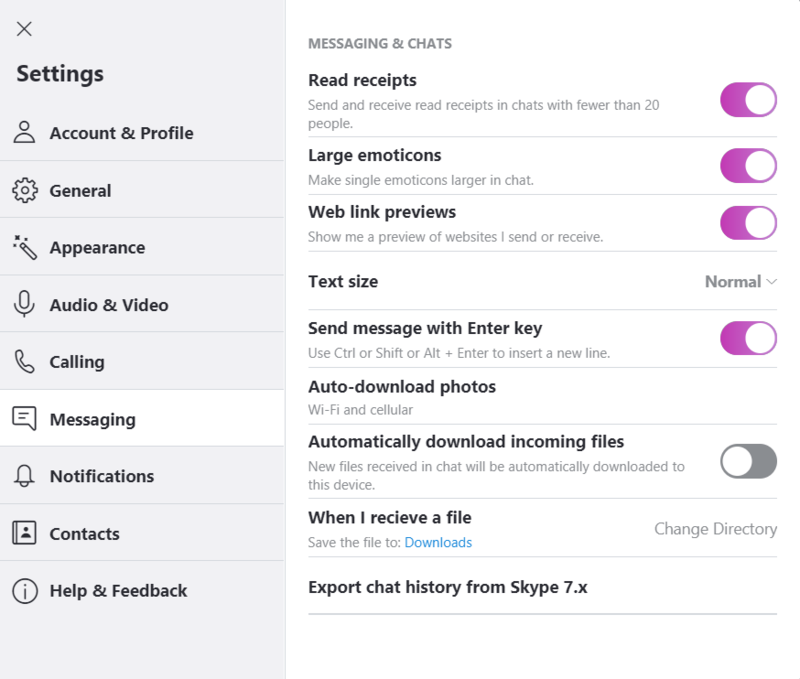 Recently in 2018, Microsoft released a new version of the tool, Skype version 8. With this update, Microsoft added a dedicated dark theme for Skype. 1. Select your profile picture or the three dots on the right. 2. Select Settings and then Appearance. You can access the Themes menu directly from the main Skype screen, by using Ctrl+T keyboard shortcut. 3. Select Light or Dark from Modes. And from Color, you can choose a different appearance. The settings take effect the moment you set the theme (color, modes, accessible modes). To restore the settings, you can easily use the button Reverse top right. Use Ctrl + comma – to open the Settings menu. From Calling menu, you can select showing subtitles for voice and video calls. Click on Advanced to set up “Answer incoming calls automatically”. From the Messaging menu, you can adjust the text size or set up the folder where you save the file that you receive. If you are during an audio or video call, select the + button to turn subtitles on. Ctrl + Alt + M – to reveal the microphone status during a call and Ctrl + Shift + Alt + K – for video status during a call. You can download Skype for desktop from Microsoft. 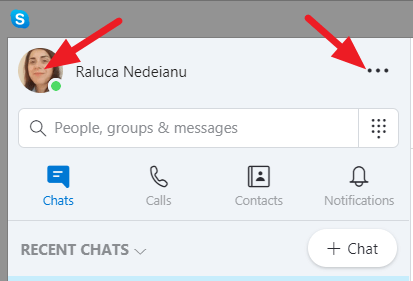 What does that Skype exclamation mark in yellow triangle mean?